When California-native Virginia Sarabian was 8 years old, she watched in horror as a glass bottle shattered on the floor, shooting sharp glass remnants toward her mother’s legs. The debris instantly cut her mother’s legs, drawing blood and panic. This year marked two milestones in Ms. Sarabian’s life: she commemorated 60 years as a registered nurse and celebrated her 85th birthday. 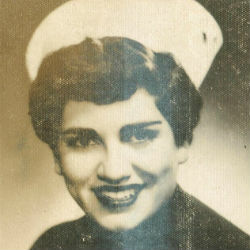 After graduating as a licensed registered nurse from Fresno General Hospital School of Nursing in Fresno, Calif., in 1954, Ms. Sarabian enrolled in the California State University’s nursing program. Four years later, she received a Bachelor of Science in Nursing degree. 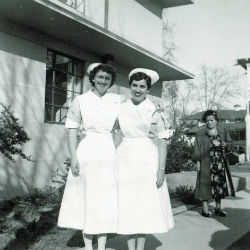 Her goal to care for others as she cared for her mother reached fruition when she worked alongside mothers and infants as a registered nurse at Fresno General Hospital, now known as Fresno University Hospital. For 24 years she delivered warm, compassionate care to countless mothers and their families in the hospital’s labor and delivery room, post-partum room and nursery. She was instrumental in the inception of Fresno County’s first Neonatal Intensive Care Unit. Sixty years since obtaining her registered nurse license in 1958, Ms. Sarabian is now enjoying her retirement alongside family and friends. The American Health Council congratulates Ms. Sarabian on achieving 60 prosperous years in the nursing field, helping countless people through difficult situations and spreading warmth and joy among her patients. The AHC wishes Ms. Sarabian a happy and healthy 85th birthday. The American Health Council is the nation’s only organization with a constituency representative of all sectors of the healthcare industry. From the coasts to the heartland, the American Health Council has drawn Affiliates from major metropolitan hubs and small communities. These Affiliates span generations and have reached different stages of their careers — from recent graduates to retirees. More information about the American Health Council and its mission can be found at: http://americanhealthcouncil.org. Additionally, the American Health Council strives to provide recognition and support for those individuals and institutions making the difference in patients’ lives day in and day out. The AHC is honoring “America’s Best Doctors and Nurses,” as well as the nation’s best medical universities and hospitals. The American Health Council’s “Best in Medicine” and “Best in Nursing” awards programs honor the individuals and institutions that have contributed significantly to medicine and nursing, as well as the training and education of physicians and nurses. 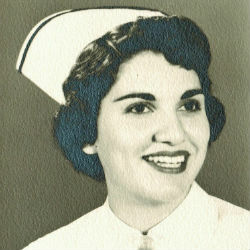 The most current selections for these honors may be viewed here: http://bestinmedicine.org and http://bestinnursing.org. For media inquiries contact us here.